Real Madrid’s 2-1 defeat away at Valencia has opened the door for Barcelona to top the table with a win away against Atletico Madrid on February 26 at 16:15 CET. Meanwhile, Zinedine Zidane’s Madrid are also playing on the 26th as they travel to the Estadio de la Ceramica to face Villarreal at 20:45 CET. While Madrid have a game in hand, a win for Barcelona would put them top by two points and it would add to the importance of the fixture for Los Blancos – even a draw in Madrid would be favourable for Luis Enrique’s side thanks to their superior goal difference. 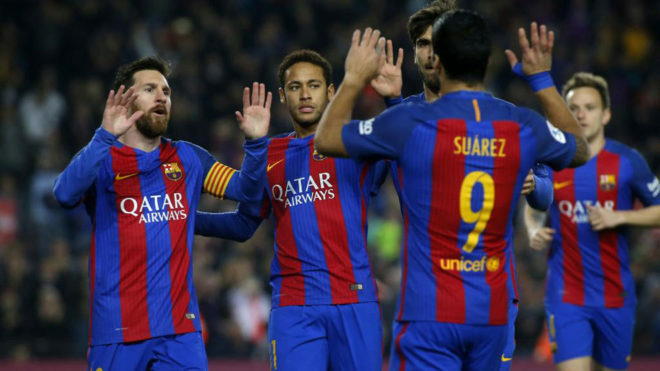 Surprisingly, Barcelona have not topped the table since the opening day after they trounced Gus Poyet’s Real Betis 6-2 at the Camp Nou.